Never bite off more than you can chew, they say. ‘They’ are generally unnervingly conservative, however, so I tend to toss out those words of wisdom with the bathwater. Forget about the baby. Instead, I embrace the idiom ‘seize the day’. Spoiler alert: seizing the day is exhausting. Being a tourist is hard work, and I made one key rookie mistake while visiting NYC. My plan to not sleep while visiting the city that never sleeps was more than a little daft. We arrived in Newark at 11 pm, and by midnight were seated comfortably in a bar in Soho. At 1 am we were seated for dinner. When 3 am rolled around, we rolled down the street to another bar. The story has it we arrived back at our hotel at 5 am, but I can’t verify that with any conviction. The three-hour time change notwithstanding, this was a victory. This is the kind of stamina I haven’t seen since my university days. However, unlike those moments as a student when I would bounce back from those typical Tuesday nights, I spent the rest of our time in New York recovering from this initial binge; whereas that was supposedly only the beginning. Not the first time in my life my best laid plans have backfired like Lindsay Lohan’s attempts at rehab. My nocturnal challenges aside, I feel like I grew because of this trip, and not just in waist size. Truthfully, big cities are not my thing; I am as uncool as I sound. Concrete jungles only make me long for the solitude of my North Shore mountains. However, eight million people live there for a reason, not just to check out the view from the Empire State Building. Amongst our fantastic dining experiences, we went to a rave and watched some incredible performance art that you didn’t need to be high on E to appreciate (just wine). We went to Cindy Sherman‘s exhibit at the Moma, a woman who has photographed herself in various forms of disarray over forty years and has the breadth of work to prove it – a brilliant satire of life as we know it, and more thought provoking than I can explain with mere words. We saw The Book of Mormon on Broadway – if I say uproariously funny will I sound like the pamphlet they handed me when I stepped into the theater? Truly hilarious, what else would you expect from the creators of South Park? The New York Public Library featured an exhibit on the letters and manuscripts of Percy Bysshe Shelley, whose real life played out like a soap opera well before its time. A little gallery of heaven right there. 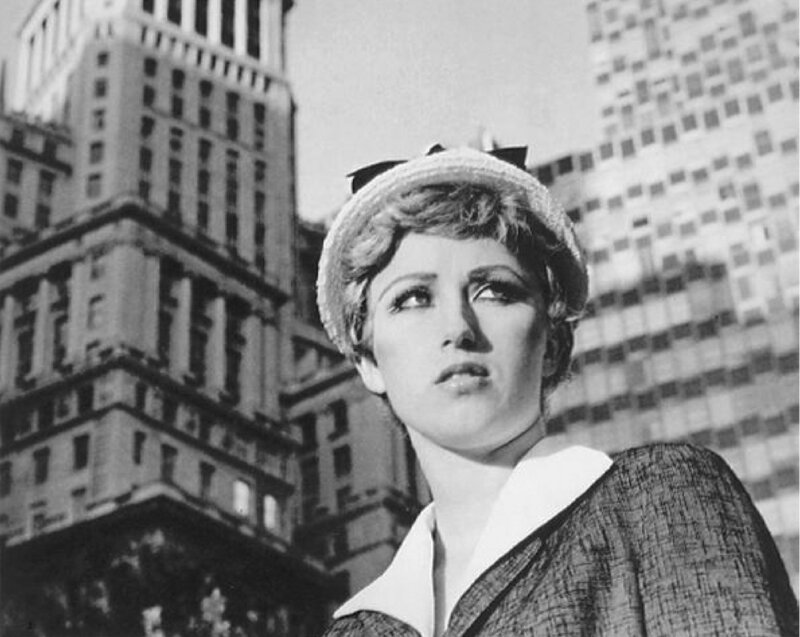 If you haven’t seen Cindy Sherman’s work, you really should. 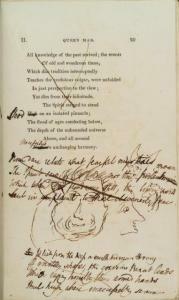 I tried not to drool, but looking at Shelley’s scribbled pages of genius made it difficult. These experiences, easily, were the highlights. The things I will hold close to my heart and take with me past New York and beyond. The rest was tourist play. Why I can run easily run ten miles, but have great trouble walking a couple of miles worth of city blocks is one of life’s great mysteries. I wouldn’t go so far as to call it a vacation, but visiting New York was invigorating in a different way. You might say the Big Apple took a bite out of me, instead of the reverse. But I chewed as much as I could in my attempt to seize the day, and I was happy with the contents of my Granny Smith. Great post on your expereince of the Big Apple. New York, in the past, has not only taken a bite out of me, but nearly consumed me whole. I adore the place. Haven’t been there in more years than I can count, but it’s truly a feast–for me, of the MacIntosh Variety. Welcome home and a belated happy Mother’s Day. I certainly hope it doesn’t take forty years to get back to NYC! Loved the energy, and the possibilities.